Paylab continuously monitors trends in salaries and non-financial benefits on the labour market. The portal contains data for more than 600 individual jobs that allows visitors to the site and localised salary portals in individual countries to benchmark their salaries with others in the same job. 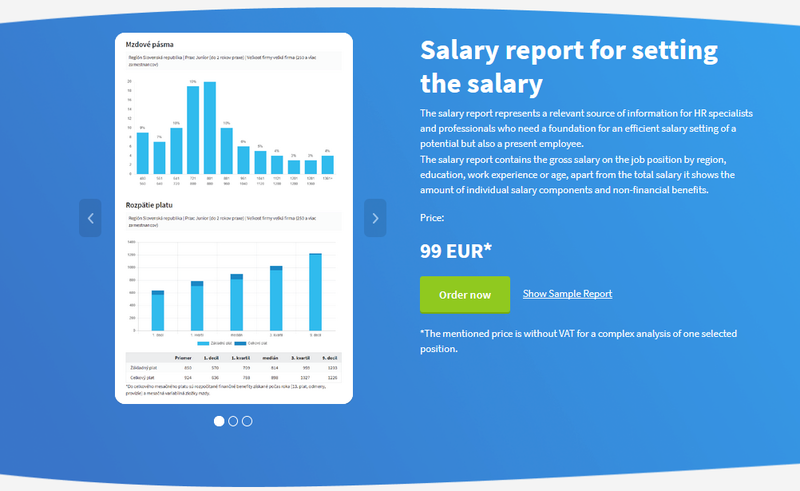 It provides companies and HR professionals in 13 European countries with a service module containing detailed salary reports to give them the certainty they need to make pay-related decisions and to set fair salaries for their employees. There is tremendous demand for IT specialists on the labour market, which is reflected in their salary dynamics. IT professionals focus on their salaries most intensively. Middle management and those working in administration were also curious to determine if they were being adequately compensated. Among the other top sectors where employees benchmarked their salaries across all levels of jobs include economics, finance and accounting, trade, construction, transport and logistics. 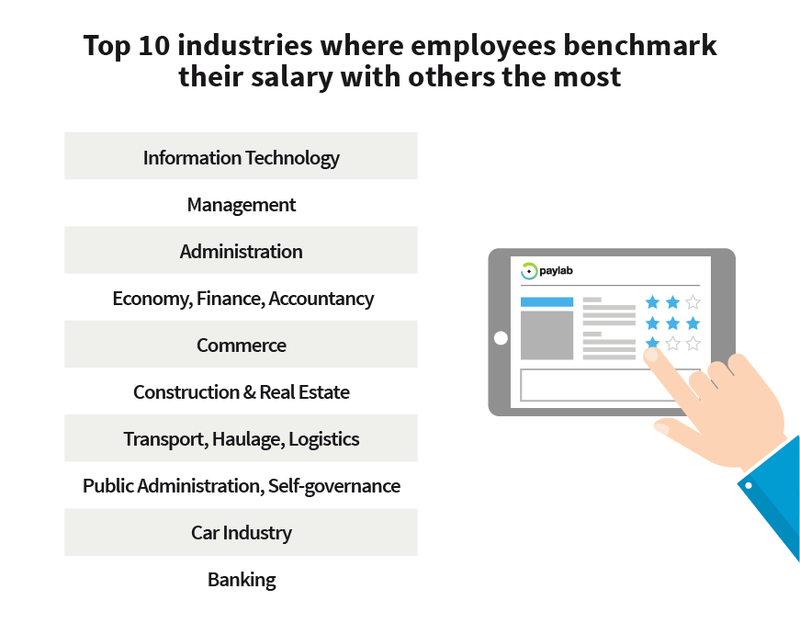 Employees in the public sector, the car industry and in banking are also curious about salaries. In addition to employees interested in the adequacy of their own pay, companies also need a reference point for the market value of individual jobs. Employers are looking for certainty that they are providing the right salaries to employees. A specialised survey involving HR professionals from a sample of 361 employees and conducted by Paylab in collaboration with the Profesia.sk job portal shows that the most relevant arguments for managers when re-evaluating salaries were a change in the employee's professional qualifications, the difficulty in filling the position and if the employee has multiple roles and responsibilities in their current job. According to HR professionals, salary policy is now more than just optimising HR costs. Companies put an emphasis on maintaining their current employees by giving them a fair salary and being an attractive choice for job seekers. "Company owners and HR professionals deal with the salary agenda continuously throughout the year. Up to 8 in 10 HR specialists responded to our survey, indicating that they needed updated and current information about salaries on a relatively frequent basis. This is primarily due to the fact that every company is faced with fluctuation and needs to employ new people. Every year, companies also review the performance of existing employees through performance evaluations and plan their payroll costs for future years. They also set up motivational and retention programs just for employees", says Miroslav Dravecký, Product Manager for the Paylab portal. Paylab's targeted survey of HR professionals also finds that properly configured remuneration is one of the most important aspects with an impact on employee satisfaction, along with a good team and corporate culture. More than 1,000 companies, primarily small and medium enterprises, have already purchased salary reports from the Paylab network in individual countries across Europe. They appreciate the speed and affordability of the service. 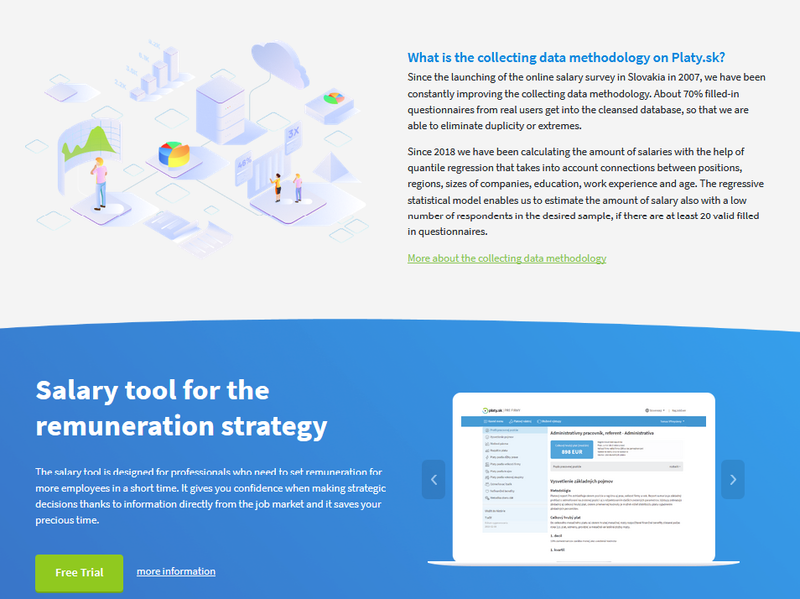 Paylab continually improves its methodology and data evaluation. Only those salary questionnaires that have no extremes or duplicates are entered into the salary database. The final salary calculation for a specific job is evaluated using a regression statistical model. Only 6 in 10 completed salary questionnaires enter into the calculations for salary reports. Roughly one-quarter of the questionnaires are automatically disqualified through this three-phase check. The questionnaires completed by visitors to the site who conducted simple market research and entered their expected salary are not included in the database for salary reports. 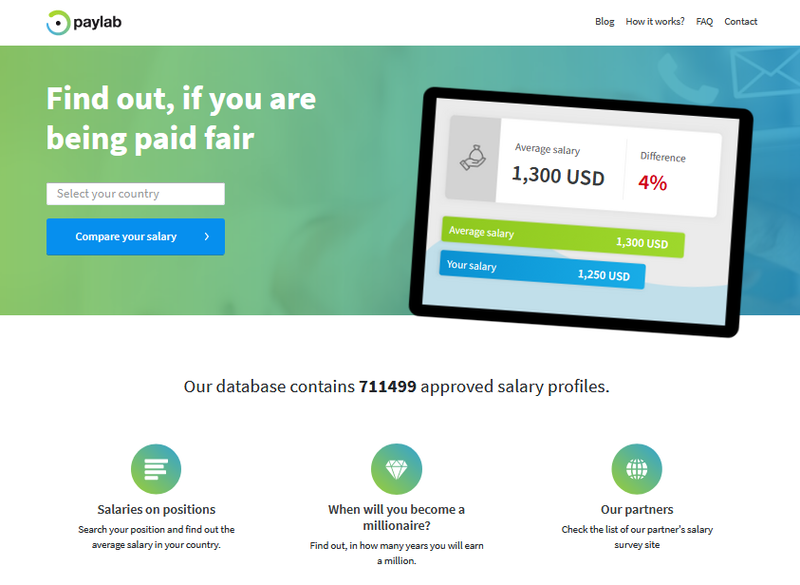 The international Paylab.com portal, just like all localised salary portals, received an updated and modern design in April 2019. Along with the fresh visuals, the site transferred to the Cloud and the modern Laravel PHP framework. The predominant features are simplicity, transparency and a discrete blue-green colour gradient. The site's redesign builds on the change in logo, which is an innovation of the eye focusing on remuneration. Users of this online service are increasing. 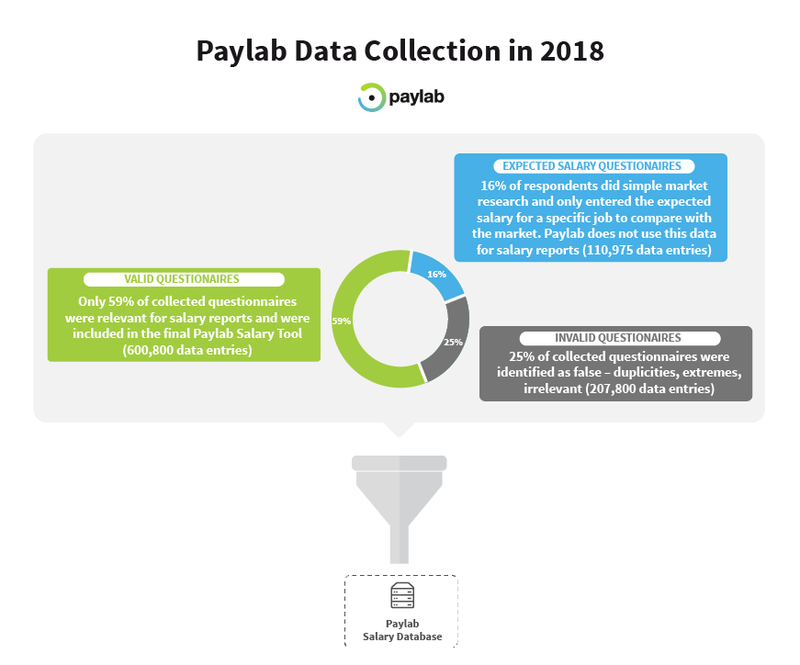 More than 711,780 respondents used the Paylab.com salary portal and its localised versions in 20 countries in 2018, which is a 41% increase over the previous year. This is primarily thanks to the fact that the Paylab network expanded into additional countries, including Romania and Macedonia. Paylab is in the portfolio of the Slovak technology company Profesia, s.r.o., which is owned by the Finnish media company Alma Media.